Adolfo M. García is Scientific Director of the Laboratory of Experimental Psychology and Neuroscience at the Institute of Cognitive and Translational Neuroscience (INCYT, Argentina) and Researcher at the National Scientific and Technical Research Council (CONICET, Argentina). William J. Sullivan is Emeritus Professor of English and Linguistics in the Institute of English, Maria Curie-Sklodowskiej University, Lublin, Poland. Sarah Tsiang is Associate Professor in the Department of English and Theatre at Eastern Kentucky University. 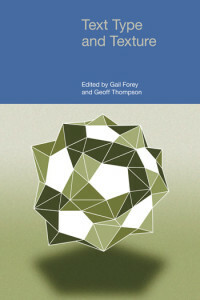 This book offers an updated introduction to Relational Network Theory (RNT), a neurocognitive model of language compatible with systemic-functional tenets. It describes and illustrates the logical types of relations found in a linguistic network. Part I traces the evolution of RNT from the 1960s to the present, highlighting its systemic and stratificational origins, introducing its main notational devices, and identifying successive theoretical milestones (from structural, to operational, to neurocognitive considerations). Part II offers an unprecedented collection of case studies showing descriptive applications of RNT. The studies deal with varied linguistic phenomena in different languages (phonological patterns in Russian, morphological systems in Polish and Spanish, pronouns and nouns in English discourse, speech errors in English and Polish). The book is prefaced by Michael Halliday and includes a recent interview with Sydney Lamb, the main developer of the theory. Its didactic style and descriptive rigor render it useful for both linguistics students and professional linguists. Professor M.A.K. Halliday is a British-born Australian linguist who developed the internationally influential systemic functional linguistic model of language. His grammatical descriptions go by the name of systemic functional grammar (SFG). He has worked in various regions of language study, both theoretical and applied, and has been especially concerned with applying the understanding of the basic principles of language to the theory and practices of education. He received the status of Emeritus Professor of the University of Sydney and Macquarie University, Sydney, in 1987. He has honorary doctorates from University of Birmingham (1987), York University (1988), the University of Athens (1995), Macquarie University (1996), and Lingnan University (1999). This book offers an updated introduction to Relational Network Theory (RNT), a neurocognitive model of language compatible with systemic-functional tenets. Throughout its three parts, it describes and illustrates the logical types of relations found in a linguistic network. Part I traces the evolution of RNT from the 1960s to the present, highlighting its systemic and stratificational origins and identifying successive theoretical milestones. This part includes detailed explanations of the theory’s principles and notational devices. Part II offers an unprecedented collection of case studies showing descriptive applications of RNT. The studies deal with varied linguistic phenomena in different languages (phonological patterns in Russian, morphological systems in Polish and Spanish, pronouns andnouns in English discourse, speech errors in English and Polish). Part III presents basic notions of neurology and introduces neurocognitive modeling. Specifically, it describes the rationale and evidence through which relational networks can be understood in neurological terms. The book is prefaced by M. A. K. Halliday and includes a recent interview with Sydney Lamb, the main developer of the theory. Its didactic style and descriptive rigor render it useful for both linguistics students and professional linguists. 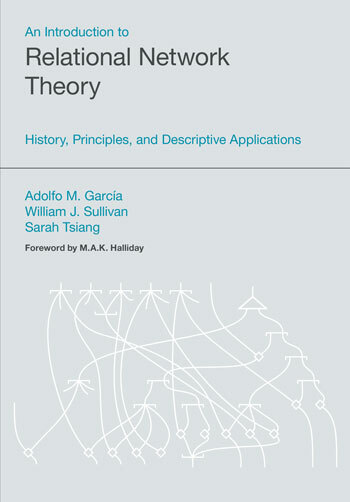 This chapter traces the origin and first developments of Relational Network Theory (RNT), from related ideas of Baudouin de Courtenay, Saussure, Jakobson, Whorf, and Hjelmslev to Sydney Lamb’s early contributions. The descriptive tenets of RNT are set against the backdrop of contemporary trends in linguistics. Specifically, RNT deviated from mainstream accounts in the 50s and 60s by characterizing language structure in connectionist terms, without incorporating a priori generative or otherwise descriptive procedures. Such foundations would eventually allow the theory to meet the requirements of operational, developmental, and neurological plausibility. This chapter introduces the terminology, notational conventions, and diagrammatic representations used in Relational Network Theory. Relational networks are presented as dynamic systems of information processing. They are based on interconnected nodes of varying strength which operate bidirectionally and in parallel. The nodes allow for activation patterns to spread through several linguistic strata, each subsuming either elements of similar composition or tactic relations. Speech production and comprehension phenomena are illustrated, including anomalous and idiomatic examples. The chapter also introduces the notions of connection strengthening and threshold adjustment, which can account for language learning throughout the lifespan. 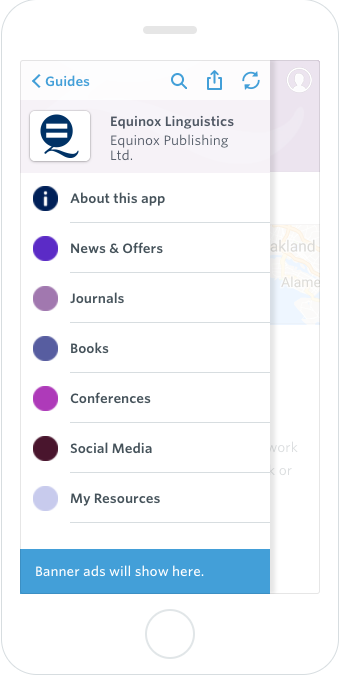 Finally, network-based accounts are provided for complicated performance phenomena such as context-driven lexeme selection, slang expressions, and creative variants of well known fixed phrases. This chapter illustrates a Relational Network (RN) approach to phonology through a description of Russian obstruent onsets. Russian features a complicated syllable structure, the obstruent portion of the onset being its most complex part. Building on related RN accounts, the overarching description introduced herein circumvents some arbitrary and unjustified limitations in previous structuralist and generative approaches. Moreover, numerous analytical problems in the classical generative perspectives of underspecification and feature geometry are identified and avoided. The present RN characterization, presented in both algebraic and network diagram form, solves such problems through a higher level of generalization which can be interpreted within an overall model of the individual’s linguistic system. The present chapter brings together analytical and descriptive work on Russian phonology and considers it from an RNT perspective. Russian has a very complex syllable structure, with the syllable onset being the most complex part. Maximal word-initial clusters may have four phonemes, of which the final one is always a sonant (e.g., /r/). This resolves to wordinitial obstruent onsets of up to three phonemes. Together they constitute the majority of onsets in both type and token. Here we focus precisely on obstruent onsets. Traditionally, case has been variously defined when viewed from semantic, discourse-based, syntactic, or morphological standpoints which rely on static linguistic units. A Relational Network (RN) account can circumvent the limitations ensuing therefrom and provide an efficient, integrated description of this property of natural languages. This chapter illustrates the RN approach to case through a description of the Polish genitive. Eight different forms, related to numerous sememic roles with differing semantic function, communicate this case when appended to a nominal or adjectival stem. Varied Polish genitive constructions are illustrated and relevant syntactic relations of case are explained. More specifically, RN resources are used to represent the functional, formal, and lexotactic relations of the Polish genitive, leading up to two comprehensive diagrams: one of the meaning and form of the Polish genitive in general, and one of a sample lexical item, showing how it could be realized in any of the six cases of Polish. Accompanying commentary elucidates how parts of the system work together during spreading activation, leading to correct case assignment. This chapter offers a Relational Network (RN) description of Spanish pronominal clitics and verb endings. These units have been widely treated in the functional and cognitive linguistics literature. However, they have rarely been jointly modeled from a network-based perspective, despite their semantic, morphological, and morphotactic commonalities. The advantages of an RN account are highlighted against the backdrop of an alternative network-based account. In particular, level-specific connectivity distinctions are set forth between (i) semantic categories and features (downward ‘or’ nodes), (ii) context-independent meanings and context-dependent messages (simple vs. complex ‘or’ node structures), (iii) morphotactic patterns and morphological realizations (downward ordered ‘and’ nodes), and (iv) semantic features and morphological representations (upward unordered ‘and’ nodes). Diagrams are offered for the semantic, morphological, and morphotactic networks of the related systems. The chapter ends with directions for further development of the present treatment. This chapter offers a relational network perspective on pronoun distribution in narration. Although countless nouns can be referred to by only a few (third-person) pronouns, the latter rarely produce ambiguity in discourse, even when the actions of varied participants are described. In narrative, a participant is usually named at first appearance, while pronouns are used for subsequent appearances. Reoccurrence of a name may respond to text length, discourse considerations (e.g., providing new information, establishing a thematic participant), and semantic constraints (e.g., avoiding ambiguity). Following Gleason’s stratificational approach to pronoun occurrence in a folktale in Kâte (a Papuan language), we present a network-based description of noun, pronoun, or zero realization for participant reference in a comparable English text. 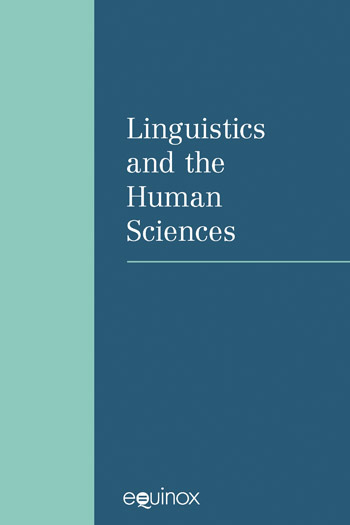 The chapter shows that discourse-level phenomena in typologically different languages can be characterized using similar resources from Relational Network Theory. Relational Network Theory (RNT) assumes that the connections supporting linguistic and otherwise cognitive processes operate via loosely-yoked spreading activation. As other theories, RNT focuses on describing normal language processing, including operations which lead to successful production of what the speaker intends to say. However, as shown in this chapter, it can also account for multiple types of speech errors which abound in (non-pathological) verbal production. A five-stratum model is used leading from high-order cognition to speech output, with each stratum corresponding to different kinds of basic elements (emes). Input to the emes of a particular stratum is non-linear, but typically the emes are linearized by the tactic pattern, producing fully-ordered output to sound. However, because the linguistic system is biological in nature, asynchronies may occur if some of its parts take random rest periods. Moreover, imbalances may result when different potential realizations compete with one another. In either case, a speech error may result. Drawn from a large corpus collected in Polish and English, examples of the four most common spontaneously produced error types (timing errors, tactic pattern errors, unintended blends, substitutions) are presented and explained in RNT terms. The cumulative effect is to reify the five-stratum RNT model supported in other analyses with a basic distinction between realizational/semiotic relations and tactic patterns on each stratum. This Appendix offers a recent interview with Sydney Lamb, a key figure in the development of Relational Network Theory (RNT). With a career spanning more than sixty years, Lamb is recognized as a groundbreaking scholar in the study of language and the brain. In particular, Lamb’s 1999 book, Pathways of the Brain, is a fundamental text in RNT literature. Naturally, in subsequent presentations and publications, Lamb has introduced a number of refinements to his initial exposition. Here Lamb discusses historical, technical, and practical aspects of RNT, addressing both recent innovations and recurring queries. This interview provides a valuable perspective on the development of RNT, as viewed by a main contributor and decades-long observer, alongside insights into the disciplinary rapprochement between linguistics and cognitive neuroscience. The reason the present book is so timely is that it will provide another mode of access to [Relational Network Theory], for those who would be able to approach it with the required specialist knowledge. It is time that such people let [...] us know how it shapes up, as an account of the linguistic system, and of the processes of learning and using language, in the light of current research.